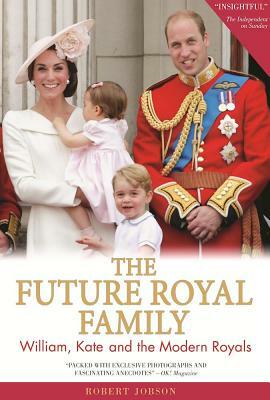 An insightful, authoritative biography of "modern royals" William and Kate and their family, by the "Godfather of Royal Reporting"
A true insider account of Prince William's love affair with Kate Middleton, from their initial meeting while attending university in Scotland to married life in Wales while William pursued his Royal Air Force career. In the US, William and Kate are largely heralded as pop-culture icons: he, the confident young Prince who is the future of the Royal family; she, the royal bride and future Queen Consort who is thoroughly modern and confounds all stereotypes of what a royal partner should be. Published in time for the centenary of the House of Windsor (7/17/17), the American edition provides an in-depth look at the next chapter in this modern-day fairytale, packed with beautiful photographs, fascinating facts, and expert analysis into the most pivotal royal romance of our time. An intriguing insight and unrivaled souvenir, this is an essential read for royalists and romantics alike. Dubbed the "Godfather of Royal Reporting" by The Wall Street Journal, Robert Jobson is one of Britain's leading royal commentators. He is the Royal Editor of the London Evening Standard. In the US, he serves as the royal contributor for ABC's Good Morning America and Forbes magazine. He is the author of William & Catherine: Their Romance and Royal Wedding in Photographs and the co-author of Diana: Closely Guarded Secret. For more information, go to www.jobsonmedia.com. Robert Jobson is one of Britain's leading royal commentators, dubbed the "Godfather of Royal Reporting" by The Wall Street Journal. He is the Royal Editor of the respected London Evening Standard. In the U.S., he serves as the royal contributor for ABC's Good Morning America and Forbes magazine. He is the author of William & Catherine: Their Romance and Royal Wedding in Photographs and the co-author of Diana: Closely Guarded Secret. A bestselling author and award-winning correspondent, he has been at the forefront of royal reporting for a quarter of a century. For more information, go to www.jobsonmedia.com.